Red-billed hornbills are one of the smaller species of hornbill. They lack a casque, which is typically considered to be a distinguishing feature of hornbills. They use their long, curved bills to forage for insects on the ground. There are 14 species of hornbill, which can be found in both Africa and Asia. The red-billed hornbill is native to Africa, and can be found foraging for ground-dwelling insects in both savannas and woodlands. These birds are social and territorial, living in small family units or pairs. In the dry season, they can be found at watering holes in massive flocks of several hundred birds. Something unique about hornbills is that their first two neck vertebrae are fused together in order to provide support for their disproportionately large bills. They use these unique bills for foraging, courtship rituals, and in order to break out of their unique, mud-sealed nest cavities. This is one of the smaller species of hornbill, weighing in at only about half of a pound! They are very active birds and quite the opportunistic feeder. 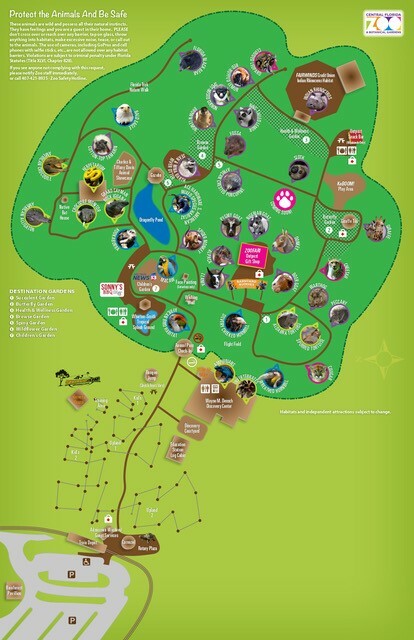 In addition to the diet we provide them here at the Zoo, you can often see them hunting for insects or worms in their habitat. They are so much fun to watch! 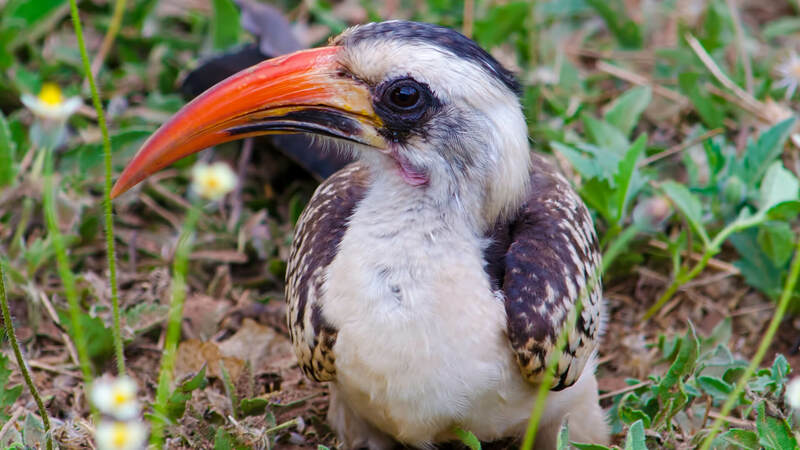 Red-billed hornbills hunt cooperatively with mongooses; the mongooses will sniff out and uncover insects, while the hornbills watch out for predators and sound alarm calls! The female lays 3-6 eggs in a tree cavity, then seals herself inside with a mud-like substance. The male will feed her and the chicks through a slot until the chicks are ready to fledge and the female breaks out of the tree cavity.